We are really lucky in South West London to have two theatres that are fantastic for children. 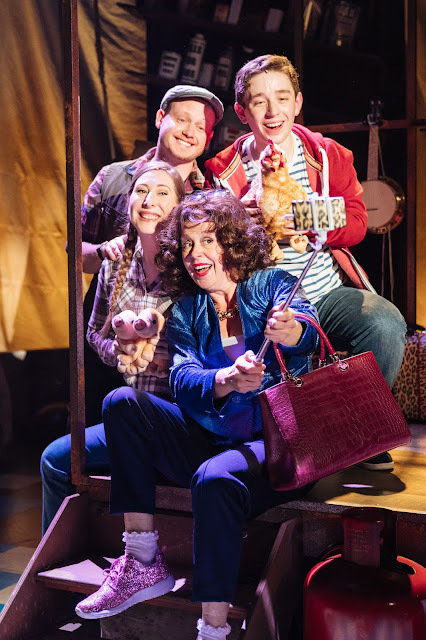 The family programming at The Rose in Kingston is of a really high quality, and this Easter we also went on our first visit to the Polka in Wimbledon - a theatre dedicated exclusively to children between 0 and 14 complete with café and play areas. 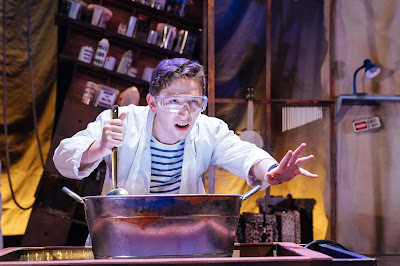 On Good Friday we joined a packed audience at the Rose to see George's Marvellous Medicine. It was rather the local event - lots of people from the area have mentioned that they have been and loved it. I think this is fabulous - theatres should be at the heart of community, part of the warp and weft of our family routines. 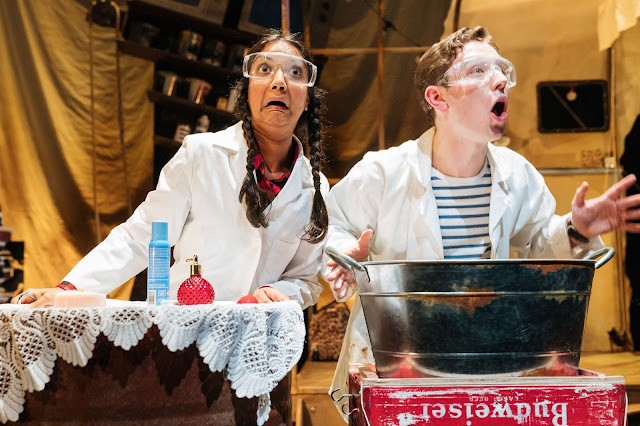 The offer at the Rose is so fantastic it never fails to deliver - this time we took one of Culturebaby's friends - its a great idea for a slightly different playdate. The girls are really getting into Roald Dahl. We have a great set of audiobooks that we listen to on long journeys and as a real surprise this year Culturebaby passed over any opportunity to wear a ball gown or a tutu and went to World Book Day at school as Matilda, clutching a basketful of books. They hadn't yet read George's Marvellous Medicine, so this interactive, fun and musical production was a great introduction to this Dahl classic. Chandni Mistry, who plays the role of the Chicken, talks about the production. “When I first got the part I really didn’t know what to expect. 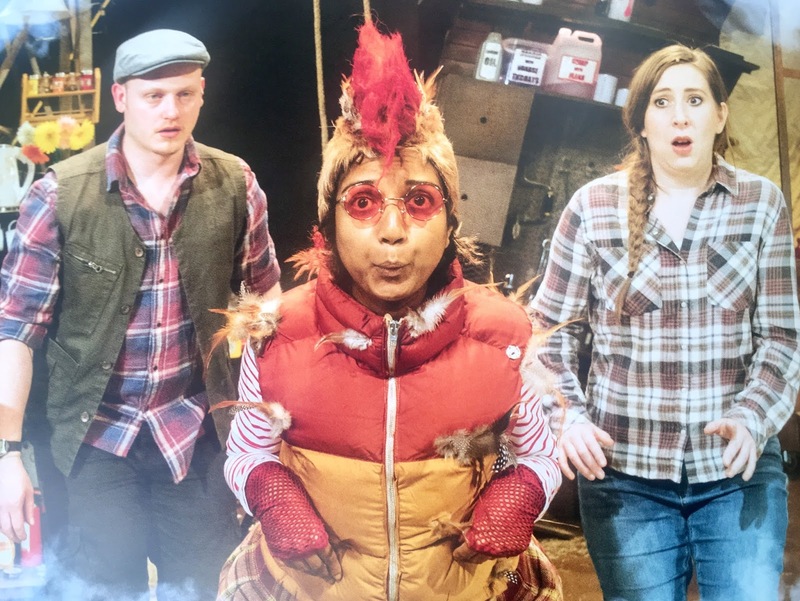 Obviously I play a giant Chicken but exactly how we’d make that happen on stage was a mystery to me. Our Director, Julia Thomas, has a brilliant eye for creativity and invention that keeps everything a surprise and a little unexpected. I’m certainly not your typical Chicken! “One thing I’ve got to say about this show is how amazing the cast and creative team are. 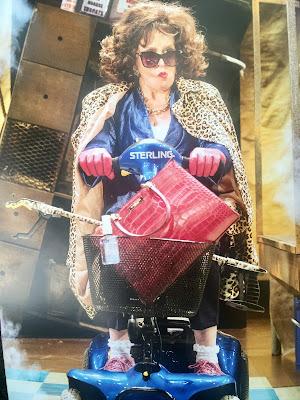 Everyone is giving their all behind the scenes and up on stage, I think that really shows too –you can’t get up in front of audiences as a Chicken or a grumpy Joan Collins-esque Grandma and be even a little bit shy. It’s all or nothing! “This is a kids’ show but it really is fun for the entire family. Julia Thomas and our Designer Morgan Large have packed the production full of references to modern life that keep it current and fun for all ages. Tasha Taylor-Johnson, our Composer, has also infused the show with this incredibly funky, hip hop soundtrack that you can’t help but want to move to. It’s a brilliant vibe. “We do have a strong ‘don’t try this at home’ message in the show but we’re also really inspiring creativity and entrepreneurship in our audiences. A lot of our props are made from recycled objects and we actually spent hours when rehearsals first began just letting our imaginations run wild and making the props that you see on stage, from pigs to milkshake machines. It was great for us to get in that creative zone and the things we made from the most random objects absolutely work in George’s world. “This is the first time I’ve ever performed in an adaptation of one of Roald Dahl’s stories but I’ve always loved him as a writer. I remember reading his stories when I was younger and finding them so funny, there’s a lot of nostalgia for me in this production. That’s the great things about Dahl – kids are still reading his stories and are coming to the theatre with their parents who also read the books when they were children. They have this universal appeal that brings everyone together which is fantastic to make come to life on stage." 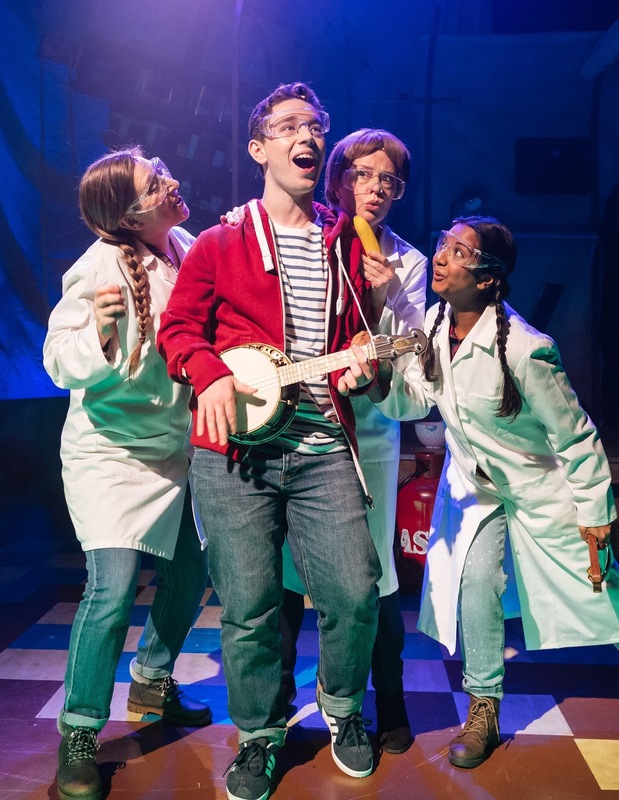 George's Marvellous Medicine is touring and is currently in Liverpool. There are some wonderful touches in the show. It is very human - messages of handling temptation, forgiveness, patience and family love and the music was excellent. Mark Houston who plays Michael has a really great voice and his '50s style song 'I'm Sorry' was a real highlight. Although we never know whether the story is true, we realise that Michael is in fact a young Rosen. His mother talks about his creative imagination and that his poem about a bear hunt was mentioned by the teacher as the best in class. We are left wondering whether he too had a brother that he felt in awe of. We all really enjoyed the production. Set designer Verity Quinn talks in the programme about her inspiration for the design of Chocolate Cake. "I wanted to create a design which felt a bit like a living pop-up book of Michael's mind, using geometric shapes and bold colours which could pop out and fold away to celebrate the creativity and imagination of Michael's life., I was especially inspired by the abstract colour block paintings of Piet Mondrian, by Pop artists Claus Oldenburg, Patrick Caulfield and Roy Lichtenstein and by Russian interior designer Daria Zinovatnaya... I love the freedom there is at Polka to create unusual worlds that are full of possibilities. It's a really unusual space to design for which challenges me to be inventive and there's a fantastic production team here who bring the designs to life with skill and ingenuity." Why not try some Mondrian-inspired follow on art activities on our blog here. You kind find out more about the excellent programming at the Rose theatre here, and the Polka here. The Rose has recently announced its 2018 Christmas show, a festive new version with original music of the Brothers’ Grimm classic Hansel & Gretel written by Ciaran McConville, who returns to the theatre following last year’s successful adaptation of Alice in Winterland (see our review here). Rosie Jones will direct a cast of local young actors from Rose Youth Theatre led by a team of professional actors. The production opens on Fri 14 Dec, with previews from Thu 6 Dec, and runs until Sun 6 Jan 2019. 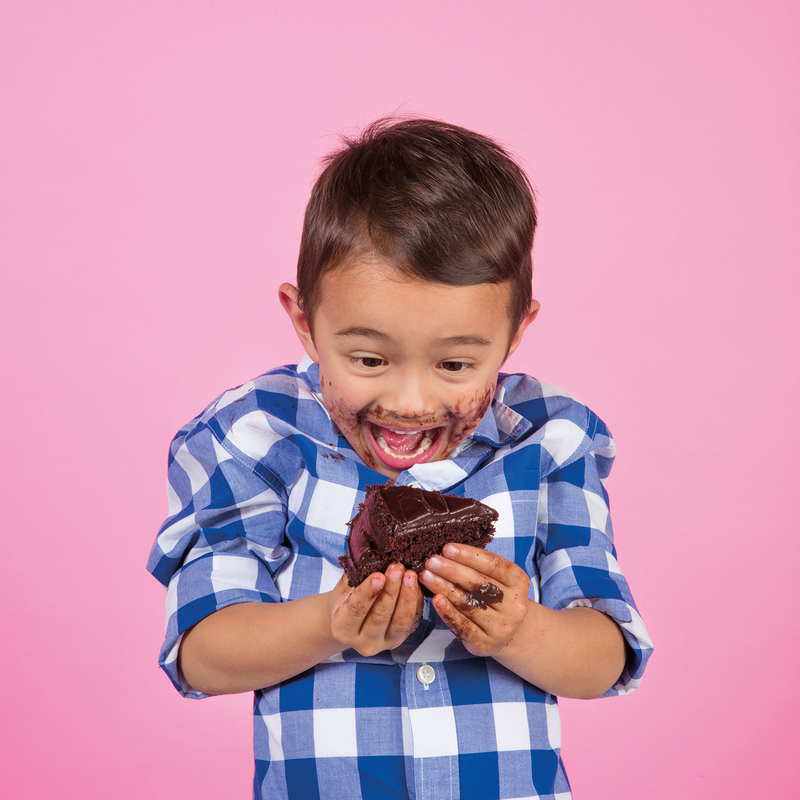 Chocolate Cake is touring to a range of locations around the country. Disclaimer: We received tickets to the performances in exchange for an honest review. All views as always are our own. Photographs courtesy of the Polka and Rose theatres.